Haifa holds a BSc. in Biology, MSc. and PhD. in Medical Sciences from the Technion – Israel Institute of Technology, and had completed postdoctoral trainings at the USDA-HNRCA of Tufts University and at the Pathology Department of Brigham’s and Women Hospital and Harvard Medical School. Haifa scientific interest includes Precision Medicine and Molecular Diagnostics, and currently she is a Lead Scientist at Aldatu Biosciences, a startup company based at the Harvard Life Lab and focused on developing molecular diagnostics for HIV drug resistance in Sub-Saharan Africa. Prior to Aldatu, Haifa was a Senior Principal Scientist/Group Leader at GnuBio, a startup company where she worked on developing NGS platforms and applications for cancer diagnostics. Before her startups career, Haifa was a Senior Scientist at AMRI, a CRO in Seattle, where she led several integrated drug discovery programs aimed at identifying small molecules therapeutic targets. Haifa has been involved with AWIS since 2007, she has served on both boards of MASS AWIS and Seattle AWIS. She established the “Group Mentoring” program for the Seattle chapter in 2008 and chaired the Mentoring Committee. At MASS AWIS, Haifa co-chaired the Sponsorship Committee since 2012, and served as a mentor for the MASS AWIS “Mentoring Circles” program. Lynes is a Life Sciences Consultant Analyst at PA Consulting Group in Cambridge. Over the years, Lynes has become a strong advocate for connectivity within the Boston area scientific community, promoting networking initiatives, events and blogging. She received her B.S. in Biochemistry from Stonehill College in Easton, MA and her Ph.D. in Biochemistry from Boston University. Prior to graduate school, Lynes was chemistry teacher and Director of Student Activities at Wilbraham & Monson Academy, a New England boarding school. She has been a member of MASS AWIS since 2013 and has spent those years serving on the Events East Committee where she helped drive creative, new event ideas and venues. Jan is President and CEO of Eikonizo Therapeutics, Inc., a new startup biotech focused on Alzheimer’s drug discovery that she co-founded in 2017 with colleagues from the MGH Martinos Imaging Center. Jan holds a BS in Chemistry from the University of Illinois and a PhD in Biology from Harvard. After receiving her PhD, she was one of the first scientists at Cubist Pharmaceuticals. 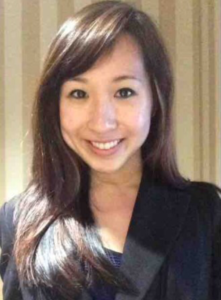 Being bitten by the ‘startup bug’, she continued to pursue similar opportunities in different settings: a startup company focused on scientific databases (Proteome), the non-profit ALS Therapy Development Institute, and the Broad Institute, where she worked with Ed Scolnick to create and build the Stanley Center for Psychiatric Research. Until founding Eikonizo, Jan was an independent consultant helping startup biotech companies with project management and grant strategy. Recognizing that organizations like AWIS would have been especially beneficial earlier in her career, Jan is now both taking advantage of, and giving back to, the many local opportunities. Along with involvement in WEST, HBA, WIB, ENET, and MassBio, she has been an active volunteer and cheerleader for MASS AWIS since 2012. In her free time, one of her favorite pastimes is hiking with her husband and 3 dogs. Cheryl currently works for PureTech Health, a biotech company focused on the crosstalk and biological processes associated with the brain, immune and gut axis. As Director of Grants and Programs, she oversees the non-dilutive funding activities for PureTech’s internal and affiliate research programs and has helped raise millions of dollars in grant awards. Cheryl holds a BA in biology and chemistry from Williams College, and a PhD in microbiology from Duke University. 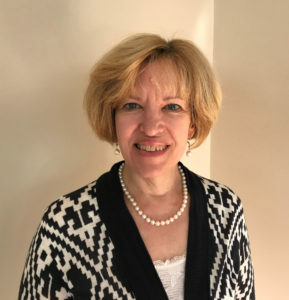 Following a postdoctoral fellowship at Dana Farber Cancer Institute, Cheryl worked for several biotech companies, as well as the Broad Institute, in various roles including research, program management and business development. A member of AWIS for the past two years, Cheryl has volunteered as a mentor for the mentoring circle program. She and her husband have two adult children, and Cheryl enjoys singing, exercising, and entertaining friends in her spare time. 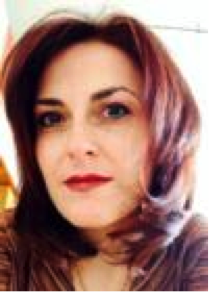 Outreach and Engagement Committee Co-Chair Cinzia Metallo, Ph.D.
Cinzia currently works in the Health Economics and Outcomes Research (HEOR) practice at Analysis Group, an economic, financial, and strategy consulting firm. She holds a Ph.D. in Neuroscience from the Sackler School of Biomedical Sciences at Tufts University in Boston, MA. As part of her Ph.D. research, she developed a novel platform technology aimed at monitoring bioelectrical signals such as neural and muscle activity. Her academic background includes a Master’s Degree in Physics from the University of Tennessee in Knoxville, TN. During her MS, she used X-ray and neutron diffraction to study superconductors. 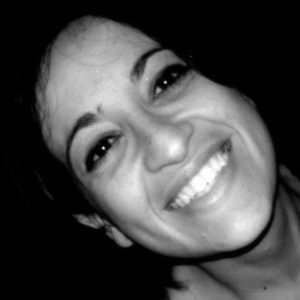 Cinzia has also entrepreneurial experience, having started a medical device company based on her Ph.D. research. In 2013, she won the Tufts $100K Business Plan Competition and, in 2014, she was selected to participate in MassChallenge, the world’s largest startup accelerator. She has been a Membership Committee member since February 2015 and she looks forward to further contributing to the MASS AWIS mission as chair of the Outreach & Engagement Committee. Outreach and Engagement Committee Co-Chair Daniela Vecchio, Ph.D.
Daniela, after working for 13 years at the bench in academic laboratories, recently made a transition in industry and she is currently working as Clinical Research Scientist in a clinical team at Boston Biomedical that is focused on the discovery and development of novel cancer therapeutics. She is contributing by evaluating ongoing clinical trials and developing new clinical trials. Daniela earned her BS/MS Biology and later her Ph.D. in Cellular Biology and Pathophysiology from Siena University, Italy. She moved to Boston in 2011 where she worked as postdoctoral fellow at Massachusetts General Hospital and Harvard Medical School for 5 years. 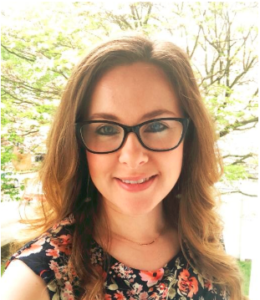 She was highly involved with the Mass General Postdoc Association (MGPA) since 2013 and in 2016 she founded a Pilot Mentoring Program for MGH postdocs. She continues to support MGH Postdocs by attending events and advising the MGPA Mentoring Committee. Daniela joined MASS AWIS as volunteer and mentee in 2015. Since 2016 she has served as Co-Chair of MASS AWIS Mentoring Committee and is looking for to another exciting year of the Mentoring Circle Program!! During her free time Daniela enjoys meeting with friends, travelling, reading, riding her bike and be in the nature! Grace was the last graduating Plant Sciences B.S. from the University of California at Irvine. After briefly working in an academic research laboratory upon graduation, she made the decision to pursue a career path utilizing her organizational and administrative skill and talent. Currently, Grace works at the Boston University School of Law as the Senior Program Coordinator of the Graduate Tax Program. In addition to MASS AWIS, Grace also occasionally enjoys volunteering with the Harvard Museum of Natural History as a gallery interpreter for the Glass Flowers collection. She has been an active member of the Event Committee since 2016 and looks forward to further contributing to the MASS AWIS mission as a co-chair of the Events-East Committee. Outside of work, Grace enjoys planning craft projects, plotting cooking experiments, and making use of her label maker. Events-East Committee Co-chair Clementine Plati, Ph.D.
Clementine joined TripAdvisor’s Search Engine Marketing team as a data scientist in February of 2018. 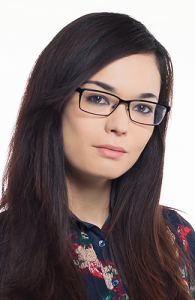 She is responsible for designing and refining the algorithms that bring traffic to their website via online adds. She received her M.S. degree in Applied Mathematics from the INSA of Toulouse, France and her Ph.D. in Statistics from Boston University, MA. Clementine has been an active volunteer of MASS AWIS’ events-east committee since 2014. She joined shortly after attending a panel discussion on gender bias in the workplace that left her inspired and with the desire to help foster connections and promote the professional development of women in STEM fields. Mentoring Committee Co-chair Gar Yee Koh, Ph.D.
Gar Yee is a postdoctoral associate at the Jean Mayer USDA Human Nutrition Research Center at Tufts University since 2015. Her primary research interest focuses on understanding how gut microbiota play a role in regulating gut health. Currently, she is working with a multidisciplinary team at Tufts University to investigate the anti-inflammatory effect of a gut bacterium, Parabacteroides distasonis, against obesity-associated colorectal cancer. Gar Yee is originally from Malaysia. She received her B.S. in Nutrition and M.S. in Forestry from Louisiana State University, and her Ph.D. in Nutritional Sciences from Iowa State University. She has been an active member of AWIS and volunteer for the mentoring committee since 2016. Besides work, Gar Yee also enjoys cooking, traveling, yoga, and especially a company of her friends and family. 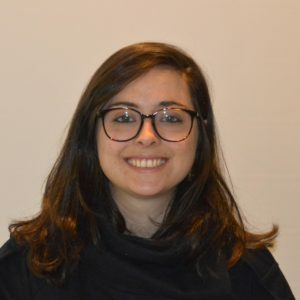 Mentoring Committee Co-chair Elif Karaca, Ph.D.
Elif has been an international PhD student at University of Turin & Boston Children’s Hospital since 2014. She is trying to solve the drug resistance mechanism in one of the childhood lymphomas. Besides being a PhD student, she has been a lab manager in her lab for 4 years. She received her B.S in Molecular Biology from Anadolu University and M.S. in Molecular Biology and Genetics & Biotechnology from Istanbul Technical University in Turkey. She moved to Boston in 2011 as a visiting scientist and later became a Research Assistant in Boston Children’s Hospital. Since 2017, she has been an active member and volunteer of MASS AWIS, focusing on the Mentoring Committee. 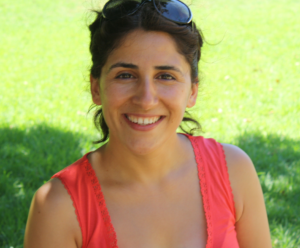 Beyond her active lab life, Elif likes to crochet toys, reading and cooking. Mentoring Committee Co-chair Rona Oran, Ph.D.
Rona holds a B.S. in Physics, M.S. in Planetary Science, and a PhD in Space Science and Scientific Computing. She is currently a post-doctoral research associate at Massachusetts Institute of Technology. 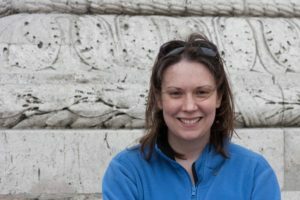 Her research focuses on computational physics and space exploration, with an emphasis on plasma dynamics and electromagnetic fields in space. Rona is an expert in computer modeling and data analysis and currently a member of the Science Team of the NASA mission to asteroid Psyche. Rona has been a member of MASS AWIS since 2016, when she first became a mentee herself in the Mentoring Circles Program. She joined the Mentoring Committee the following year, where she served as a circle connector during the 2017-2018 program, and co-lead event planning. Rona is a strong proponent of mentorship at all levels, and engages in both peer-mentoring and student mentoring at MIT. Communications Committee Co-chair Christine Oslowski, Ph.D.
Christine is a Science Educator and Communications Specialist. She periodically gives talks on career development and communications in STEM. She received her bachelor’s degrees in chemistry and biochemistry at University of Massachusetts Amherst and her doctorate in molecular cell biology at University of Massachusetts Medical School. Additionally, she completed a postdoctoral fellowship at Boston University School of Medicine. Her research efforts focused on endoplasmic reticulum stress induced pancreatic beta cell death. Christine has been an active member of MASS AWIS since 2013, volunteering for the Communications and Membership Committees where she was involved with event photography, social media marketing, and graphic design. As co-chair since 2016, she continues to fine tune MASS AWIS’s communications, increasing its network and visibility. During her free time, she enjoys portrait and event photography, painting, and hiking. 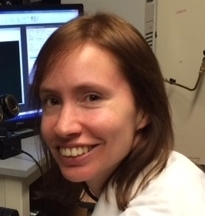 Communications Committee Co-chair Karen De Ceunynck, Ph.D.
Karen is a postdoctoral fellow in the Division of Thrombosis and Hemostasis at Beth Israel Deaconess Medical Center/Harvard Medical School. She is originally from Belgium where she received her Master’s degrees in Biomedical Sciences and Molecular Biotechnology from Ghent University and her PhD in Biochemistry & Biotechnology from the Catholic University of Leuven. Her research has been focused on understanding processes involved in hemostasis and thrombosis and using that knowledge to guide the development of novel therapeutics. She is currently conducting translation research to evaluate how endothelial therapies can reduce uncontrolled blood clotting in the setting of infectious disease. Karen has been a volunteer in the communication committee since January 2015. Outside of work, Karen enjoys working out and having good Belgian beers and chocolates. Sponsorship Committee Co-chair Siobhan McRee, Ph.D.
Siobhan is a postdoctoral researcher at Tufts University School of Medicine. She obtained her BS in Environmental Toxicology from the University of California at Davis and her PhD in Genetics from Tufts University. Her dissertation research focused on mechanisms of melanoma growth and metastasis, and during her graduate studies, Siobhan was active in a variety of organizations focused on mentoring and promoting women in STEM. In 2014, she co-founded the Tufts Mentoring Circles program, and in 2017 she helped start a Graduate Women in Science and Engineering (GWiSE) chapter at Tufts. She is also a founding member and former Media Director of New England GWiSE, a consortium of GWiSE groups at local graduate schools. Siobhan has volunteered on the AWIS Sponsorship Committee since late 2017 and is excited to further her efforts promoting women in science as an AWIS board member. 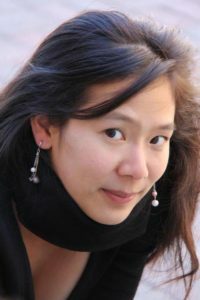 Sponsorship Committee Co-chair Xiaoxing Wang, Ph.D.
Xiaoxing is an Associate at Innosight. Xiaoxing is passionate about helping a great company continue to be great in the future. Prior joining Innosight, Xiaoxing worked at Decision Resource Group, a market research and healthcare consulting firm, helped pharmaceutical companies understand the competitive landscape of their products and developed market launch strategies. 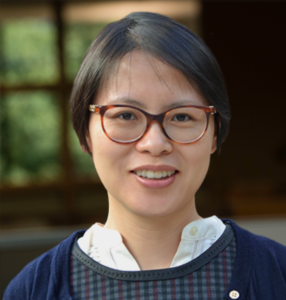 Previously, Xiaoxing did her postdoctoral fellowship at Dana Farber Cancer Institute and Broad Institute. Her work involved identifying the Achilles heel of colon cancer by high throughput functional genomic screening, in which thousands of human genes can be individually manipulated and evaluated in parallel. Xiaoxing likes to volunteer for organizations at the interphase among academia, industry and business. She served as Vice President of Harvard Graduate Consulting Club helping bridge consulting firms with Harvard community. Xiaoxing has also served as Council of Advisor for the Hope Funds for Cancer Research since 2011. Xiaoxing received her B.S. in Biological Sciences from China Agricultural University and her Ph.D. in Environmental Health Sciences from New York University. She did her postdoctoral fellowship at Dana Farber Cancer Institute and Broad Institute. Scholarship Committee Co-chair Alycia Bittner, Ph.D.
Alycia is a senior scientist at Addgene. 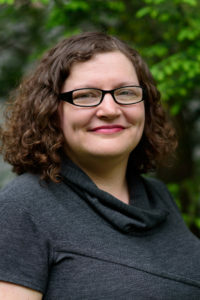 Prior to joining Addgene, she was the Manager of Journal Writing and Review at JoVE and a postdoctoral associate at Baylor College of Medicine and the University of Wisconsin-Madison, where she studied how bacterial cells respond to environmental stress. She earned her PhD in molecular biology from the University of Pittsburgh. Her graduate work involved bacteria-plant symbioses and the role of the bacterial stress response in establishing these relationships. Alycia joined MASS AWIS in 2014 to participate in the mentoring program. She has volunteered with the Events-East committee since 2015. Alycia spends most of her free time with her husband chasing their toddler and attempts to read/travel/watch TV when she can. 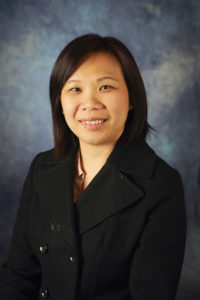 Scholarship Committee Co-chair Stacy Chin, Ph.D.
Stacy is the co-founder of her first start-up company that is focused on developing hydrophilic coatings on rubber-based medical devices. She graduated from College of the Holy Cross (Worcester, MA) with her B.A. in chemistry where she conducted research in a biochemistry lab and was an analytical chemistry intern at Pfizer Pharmaceuticals (Groton, CT). 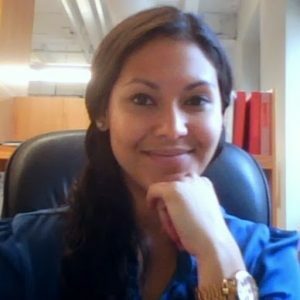 Stacy recently graduated from Boston University (Boston, MA) with her Ph.D. in chemistry where she conducted highly interdisciplinary research across the fields of polymer chemistry, computational modeling, structural biology, biochemistry, biomaterials, and material sciences. 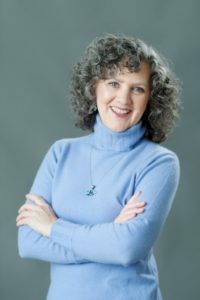 During her graduate studies at Boston University, Stacy had been actively involved in different organizations to promote the next generation of women in STEM through her outreach, mentoring, and leadership initiatives in Graduate Women in Science and Engineering (GWISE) and Boston University Women in Chemistry (BUWIC). Stacy has been a volunteer on the MASS AWIS East Events Committee since 2015 and is looking forward to serving on the board. During her free time, Stacy enjoys running, exploring Boston, cooking, and drinking a nice refreshing glass of wine. As a true Jersey girl at heart, she loves being by the water and going to the beach, (especially to the Jersey Shore)! 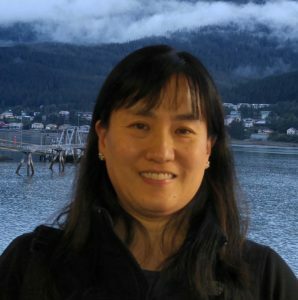 Past President Karen Yee, Ph.D.
Karen is a Research Lab Manager/Medical Specialist II at MIT and oversees the operations and administration of an academic research laboratory. Previously, she was a Research Lab Manager at Harvard University, and Instructor and a post-doctoral fellow at Beth Israel Deaconess Medical Center and Harvard Medical School. Karen obtained a B.A. degree with honors in biological science from Dartmouth College and a Ph.D. degree in molecular and cellular biology from University of Washington. Karen was involved in the Seattle chapter of AWIS while at the University of Washington and chaired the Scholarship Committee for two years as well as held many different positions on the AWIS-Seattle Chapter Board including Treasurer. She helped revive the Massachusetts chapter of AWIS in 2004 when she came to Boston to complete her post-doctoral fellowship. Since then she has participated in the chapter in various capacities including being the chair of the Leadership Workshop Committee, member of the Mentoring Committee, member of the Events Committee and chair of the Membership Committee. Karen was also Treasurer in 2012-2014, part of the 10th Anniversary Planning Committee in 2014 and was Co-Chair of the Sponsorship Committee in 2015-2016. When Karen is not in the lab, she enjoys spending time with her husband, Lewis, and her two daughters, Sofia and Athena.